This Government of Canada press release caught my eye on a recent newsfeed. The release tells the story of how PING could save and prevent accidents. It’s one of those reports that uses language which for most of us is completely unintelligible or steeped in scientific nuance. So let me break it down for you: a train fell off the tracks and PING could have stopped it. Hold on, how can something as simple as an Internet Control Message Protocol (ICMP) packet save lives? The reality is actually kind of obvious in this world of Internet of things (IoT) – latency. Using this analogy, the number of seconds or milliseconds it takes for a packet of data to go from one place or another could have prevented this train from being derailed. If there is a change in the latency, there is a problem on the tracks. Yes, my friends, PING works on rail tracks, which in a way are like giant cables reaching out across the nations. This fact got me thinking. PING is one of the most basic of IT functions. The PING check is built into almost every Remote Monitoring and Management Tool (RMM) on the market today, including our own MAXfocus platform. However, this story is not about our great products, it’s about how PING could have mitigated a train derailment – it blows my mind that all of sudden ICMP becomes the deciding factor between business-as-usual and disaster. If you can accept the idea that the railway is like a big, conductive pipe and has a TCIP stack, you can accept the idea that a simple PING could tell you a lot about the quality of transmission. The intimate relationship between PING and the quality of the Layer 1 – i.e. the physical layer – is well known: bad cable equals latency and dropped packets. If you’ve sent thousands or hundreds of thousands of PINGS you would know what the average response time should be. When the response time is radically different or there is no response; then you know you have a problem. But surely life is not that simple? Oddly with PING, it really is. One of the first things a helpdesk does (after making you reboot) is to ask you to PING the router/IP you need to get to. If you can’t “see” it, you have a connection problem. Understanding this is going to be key to understanding the IoT. PING will become, if it is not already, one of the default troubleshooting protocols/services we will use to figure out connectivity. If PING does not return, there is a problem. It’s astounding to me that we still have problems understanding this concept. We live in a world where 8.8.8.8 has to answer to a PING if it does not some folks would suggest we will all die, or at the very least our Shoes.com. websites will load really slowly. PING is not DNS, it’s not even Https, it’s lower level and it’s what we use to determine – in IT terms – if you are alive or not. There are lots of folks that turn PING off on their outside interface because of the PING of death, which caused so many problems back in the day, but if you’re still running a firewall that can’t handle a packet outside of an RFC spec you have other much more serious problems. But I digress. I said PING will save us and I meant it. We have big data – LOGICcards is an example of that – but how cool would it be if your PING check worked across all of the customers? Imagine if our 2 million endpoints could tell you the expected PING time to important websites and if your customer’s PING time was outside that. No one will ever complain about too fast, but the phones light up if we’re too slow. How cool would that be? So, how does this affect the IoT or rail cars traveling down the line? It’s simple. If PING gets too long, or there is no ECHO then stop the train, because something is not right. If something is not right it could mean a physical problem that could derail your train. It’s not a super technical thing – if it’s not ECHO’ing a reply it’s probably not online. If it’s not online and it needs to be you better go fix it. 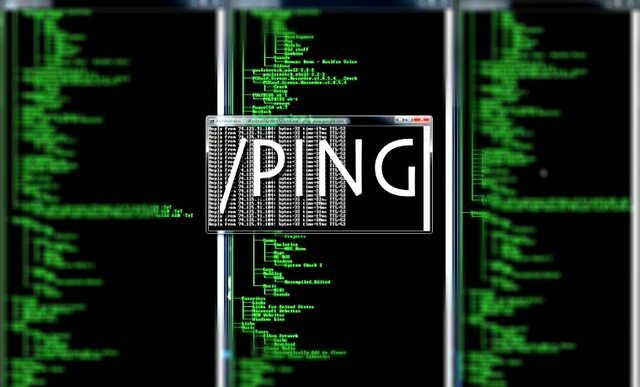 PING may just save you a world of pain when and prevent your train – metaphorical or not –from going off the tracks.